In 2008, when the U.S. National Intelligence Council issued its latest report meant for the administration of newly elected President Barack Obama, it predicted that the planetвЂ™s вЂњsole superpowerвЂќ would suffer a modest decline and a soft landing fifteen years hence. 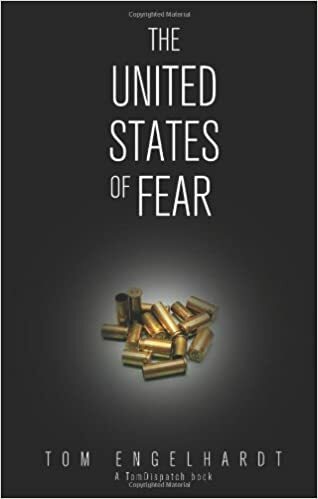 In his new book The United States of Fear, Tom Engelhardt makes clear that Americans should don their crash helmets and buckle their seat belts, because the United States is on the path to a major decline at a startling speed. Engelhardt offers a savage anatomy of how successive administrations in Washington took the вЂњSoviet pathвЂќвЂ”pouring American treasure into the military, war, and national securityвЂ”and so helped drive their country off the nearest cliff. This is the startling tale of how fear was profitably shot into the national bloodstream, how the countryвЂ”gripped by terror fantasiesвЂ”was locked down, and how a brain-dead Washington elite fiddled (and profited) while America quietly burned. Think of it as the story of how the Cold War really ended, with the triumphalist вЂњsole superpowerвЂќ of 1991 heading slowly for the same exit through which the Soviet Union left the stage twenty years earlier. fated choice. This response was eerily familiar. It permeated WashingtonвЂ™s mentality in the Vietnam War years. In fact, one of the strangest aspects of that war was the way AmericaвЂ™s leadersвЂ”including President Lyndon JohnsonвЂ”felt increasingly helpless and hopeless even as they committed themselves to further steps up the ladder of escalation. We donвЂ™t know what the main actors in ObamaвЂ™s war have been feeling. We donвЂ™t have their private documents or their secret taped conversations.